We recently started receiving a few wedding gifts in the mail, which as been like Christmas on steroids. One of the most recent gifts that would make any chef swoon… Fire engine red Le Creuset baking dishes, complete with 4 mini cocottes. I’ve died and gone to culinary heaven. Every time I open a new kitchen item I jump up and down like a little kid while Jake looks at me all confused. Anyways… The second I saw these little cocottes I thought chocolate- Chocolate souffle, chocolate mousse, chocolate molten cake- slightly obsessed with chocolate. But seriously, what is better than your very own mini dish coming out filled with chocolate? 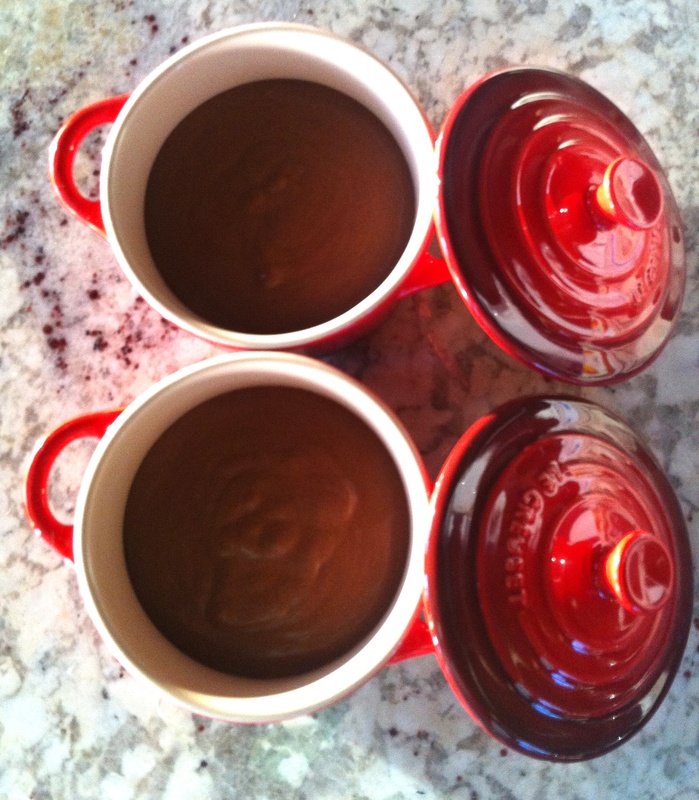 This mousse recipe is very special to me, as it belonged to my grandmother Harriet and I remember her making this for dinner parties when I was growing up. It’s extremely easy, super rich and the flavor of the rum comes through nicely, which makes the recipe a winner in my book. This is a family favorite, so I hope you ENJOY! 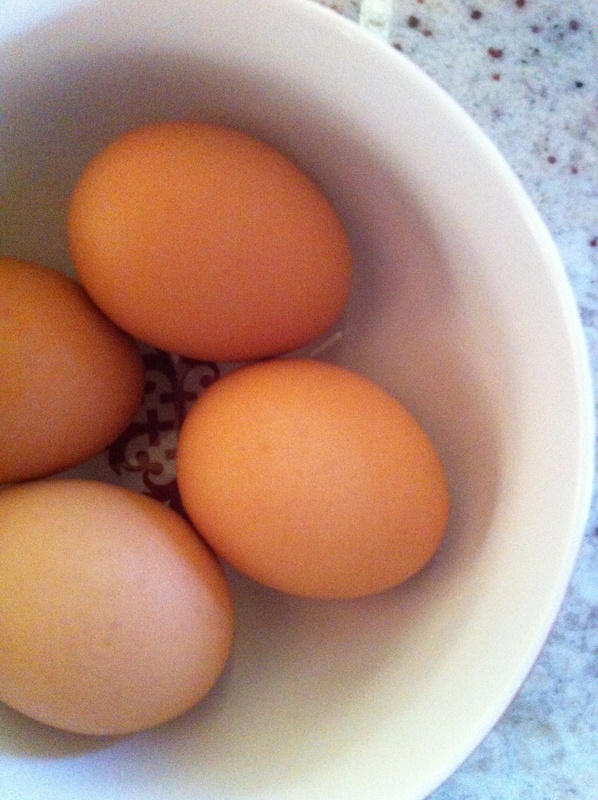 Beat egg whites with an electric hand mixer or kitchenaid until stiff fluffy and peaks form, set aside. Put chocolate chips and boiling water in a blender and blend until smooth, about 10 seconds. 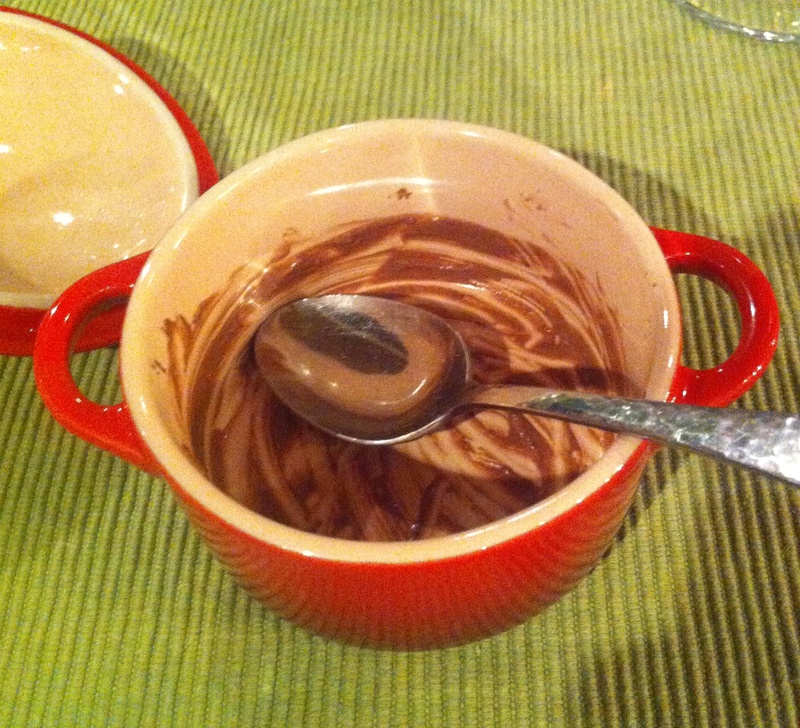 Using a rubber spatula, transfer chocolate mixture into a medium bowl. 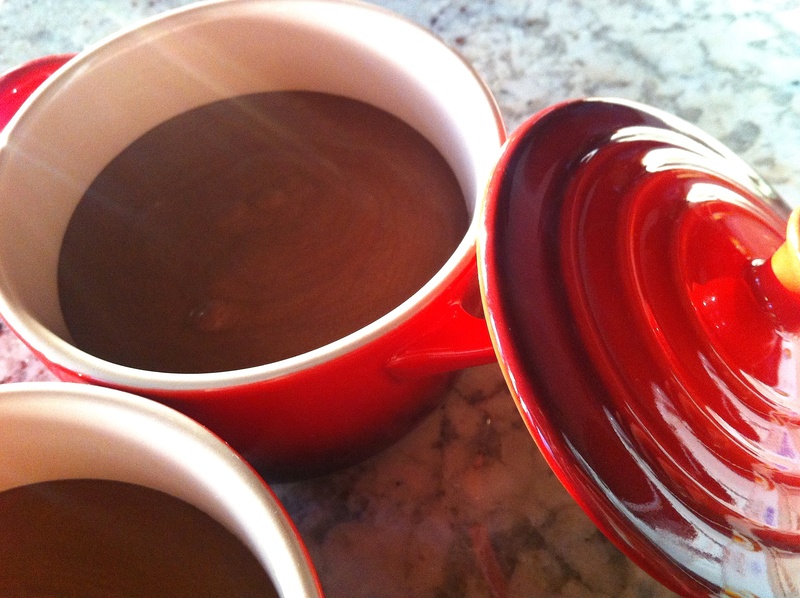 Fold whipped egg whites into rum chocolate. Pour into ramekins, chill at least 1 hour. This entry was posted in Desserts, Family Favorites, PomPom Signature Dish, Sweets and tagged chocolate mousse, Dark Chocolate chips, myers rum by skibootsinthekitchen. Bookmark the permalink. Yum, brings back memories. Nice job.